Bus manufacturing, a sector of the automotive industry, manufactures buses and coaches. Bus manufacturing had its earliest origins in carriage building. Other bus manufacturers had their origins in truck manufacturing. Historically, chassis designs were shared between trucks and buses, but in later years specific bus chassis have been developed, and the midibus introduced a lighter weight bus chassis than normal trucks. Bus manufacture historically developed as chassis and body builds. Often, large bus operators or authorities would maintain separate stocks of bus bodies, and would routinely refurbish buses in a central works, and refurbished chassis might receive a different body. One of the first integral type bus designs combining the body and chassis was the AEC Routemaster. In the 1980s, many minibuses were built by applying bus bodies to van chassis, so called 'van derived' buses. Many of these have been replaced by purpose built designs, although for smaller minibuses this is still an option. 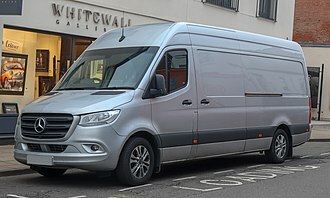 In several parts of the world, the bus is still a basic chassis, front-engined bonneted vehicle; however, where manufacturers have sought to maximise the seating capacity within legal size constraints, the trend is towards rear- and mid-engined designs. In the 1990s, bus manufacture underwent major change with the push toward low-floor designs, for improved accessibility. Some smaller designs achieved this by moving the door behind the front wheels. On most larger buses, it was achieved with various independent front suspension arrangements, and kneeling technology, to allow an unobstructed path into the door and between the front wheel arches. Accordingly, these 'extreme front entrance' designs cannot feature a front-mounted-engined or mid-engined layout, and all use a rear-engined arrangement. Some designs also incorporate extendable ramps for wheelchair access. Further accessibility is being achieved for high-floor coaches, whereby new designs are featuring built-in wheelchair lifts. While the overwhelming majority of bus designs have been geared to internal combustion engine propulsion, accommodation has also been made for a variety of alternative drivelines and fuels, as in electric, fuel cell and hybrid bus technologies. Some bus designs have also incorporated guidance technology. Manufacturers may also be a combination of the above, offering chassis only or integral buses, or offering bodywork only as used on integral buses. The splitting of body and chassis construction allows companies to specialise in two different fields. It also allows differing offerings of product to customers, who might prefer different chassis/body combinations. For the manufacturers, it lessens the exposure if one or the other goes out of business. Larger operators may also split orders between different body/chassis combinations for shorter delivery schedules. Sometimes, a chassis and body builder will offer an exclusive combination of one body on one chassis, as a 'semi-integral'. This combines the expertise of the two companies, and saves the cost of making their chassis/body usable on different products. Often builders, such as Duple Metsec will assemble products into kits, for export and local assembly at a partner site. Large users of transit buses, such as public transport authorities, may order special features. This practice was notable in the Transport for London bus specification, and predecessors. The Association of German Transport Companies was defining a VöV-Standard-Bus concept that was followed between 1968 and 2000. Chassis will often be built as complete units, up to the point of being drive-able around the factory, or on the public highway to a nearby bodybuilder. The chassis can be front-engined, mid-engined, or rear-engined. Most chassis will mount the radiator at the front, irrespective of engine position, for more efficient cooling. Chassis products will often be available in different standard lengths, even produced in articulated variants, and often be used for both bus and coach bodywork, such as the Volvo B10M. The same chassis may even be used for single- or double-decker bus bodywork. 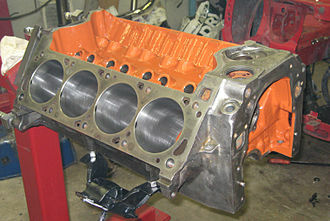 Chassis builders may also offer different options for gearbox and engine suppliers. Chassis may also be built in multiple axle configuration. Bus bodywork is usually geared to short trips, with many transit bus features. Coach bodywork is for longer distance trips, with luggage racks and under-floor lockers. Other facilities may include toilets and televisions. A dual purpose design is usually a bus body with upgraded coach style seating, for longer distance travel. Some exclusive coach body designs can also be available to a basic dual purpose fitment. In past double-deck designs, buses were built to a low bridge design, due to overall height restrictions. Bus manufacturers have to have consideration for some general issues common to body, chassis or integral builders. In the 1990s onwards, some bus manufacturers have moved towards making transit bus interiors more comparable to private cars, to encourage public transport ridership. Other additions have seen multimedia and passenger information systems, and CCTV systems. With these developments, bus designs have been increasing in weight, which is a concern for operators with the rising price of fuels in the 2000s (decade). Specialist builders may also produce bodies for executive, sleeper bus, tour bus, airport bus, or school bus uses, with special features for these uses. Builders may also adapt standard designs for these uses, and especially for paratransit use. In Israel, due to terrorist attacks on buses, general bus builders have developed armoured buses, and are investigating controlled boarding systems. Armoured buses are also used for prisoner transport. Several manufacturers and operators have invested in articulated bus designs, and even bi-articulated buses, to increase capacity without using two decks. The use of different body and chassis manufacturers can mean one bus can have up to four identifying badges - the chassis maker and model, and the bodywork maker and model, making non-expert recognition difficult compared to the identification of other vehicles, such as cars. Operators may also paint over, or completely remove badges. Several bus companies have changed ownership and name many times, leading to the same bus design receiving many different name badges, most notably Transbus International. A further confusion can arise in the case where identical bodywork is applied to different chassis. This is sometimes truly identical, or only different in minor details. Mid-engined chassis designs are often identifiable by a mid mounted radiator and exhaust. Radically different bus company liveries can cause problems in the application of a livery to a specific design. Many operators will apply a corporate design in the same way to any bus, leading to some odd sight lines. Some operators are more sympathetic, and tailor their liveries to the specific lines of each bus body design in use. Often, a bus builder will embark on a rebody programme, such as the East Lancs Greenway, where an existing chassis receives a new body to extend the usable life of the bus. Sometimes this is done by a manufacturer on a piecemeal basis, leading to odd one-off designs. Sometimes, when a number of buses change hands, or operator requirements change, a bus builder may be required to refit them into the new owners preferred configuration. This can include adding or removing doors, or changing the destination display equipment to or from LED, dot-matrix, or roller blind types. Some operators will rebuild a buses bodywork after superficial crash damage, or a bridge strike, again leading to odd one-off looking buses where the standard bodywork was not available. Bridge strike buses are often converted to open top buses, or into single-decker bus. Older buses are often converted to shunters, tow trucks, tree-loppers, training buses, or canteens. Often, large operators with different types of buses will settle on a standard bus design for their fleet, to produce savings in maintenance and driver training. These operators may either sell off non-standard types, or consolidate them in one operating location. Operators are often concerned with the ease of replacement of consumable items, such as bulbs, and easily damaged parts, such as the lower panels of the body, or windows. This is to maximise the time in service for its buses, although now builders will offer whole life servicing contracts. Operators may also make decisions on a particular bus type or components based on the particular terrain operated in. Some hillier areas may select different powertrain options. Areas with many low-bridges may have more single deckers than double deckers. Operators in humid climates may select air-conditioning as standard. A particular difficulty with double-deckers is trees striking the kerb-side top front corner. Manufacturers, or operators - post delivery, may fit a bull bar type arrangement to protect this part of the bodywork. Transport for London is a local government body responsible for the transport system in Greater London, England. Its head office is in Windsor House in the City of Westminster, the underlying services are provided by a mixture of wholly owned subsidiary companies, by private sector franchisees and by licensees. In 2015-16, TfL had a budget of £11.5 billion, the rest comes from government funding, other income and Crossrail funding. On 21 January 2016, it was announced that the responsibility for franchising all of Londons inner suburban services would be transferred from the DfT to TfL. This transfer will take place as current franchises fall due for renewal, TfL was created in 2000 as part of the Greater London Authority by the Greater London Authority Act 1999. It gained most of its functions from its predecessor London Regional Transport in 2000, the first Commissioner of TfL was Bob Kiley. The first Chair was then-Mayor of London Ken Livingstone, and the first Deputy Chair was Dave Wetzel and Wetzel remained in office until the election of Boris Johnson as Mayor in 2008. Johnson took over as Chairman, and in February 2009 fellow-Conservative Daniel Moylan was appointed as his Deputy, TfL did not take over responsibility for the London Underground until 2003, after the controversial Public-private partnership contract for maintenance had been agreed. Management of the Public Carriage Office had previously been a function of the Metropolitan Police, Transport for London Group Archives holds business records for TfL and its predecessor bodies and transport companies. Some early records are held on behalf of TfL Group Archives at the London Metropolitan Archives. After the bombings on the underground and bus systems on 7 July 2005 and they helped survivors out, removed bodies, and got the transport system up and running, to get the millions of commuters back out of London at the end of the work day. Those mentioned include Peter Hendy, who was at the time Head of Surface Transport division, and Tim OToole, head of the Underground division, carrying open containers of alcohol was banned on public transport operated by TfL. The Mayor of London and TfL announced the ban with the intention of providing a safer, there were Last Round on the Underground parties on the night before the ban came into force. Passengers refusing to observe the ban may be refused travel and asked to leave the premises, the Greater London Authority reported in 2011 that assaults on London Underground staff had fallen by 15% since the introduction of the ban. In an effort to reduce sexual offences and increase reporting, TfL—in conjunction with the British Transport Police, Metropolitan Police Service, TfL is controlled by a board whose members are appointed by the Mayor of London, a position held by Sadiq Khan since May 2016. The Commissioner of Transport for London reports to the Board and leads a management team with individual functional responsibilities, the body is organised in three main directorates and corporate services, each with responsibility for different aspects and modes of transport. This network is sub-divided into three service units, BCV, Central and Waterloo & City lines. A bus garage, known as a bus base or bus barn, is a facility where buses are stored and maintained. The term bus depot is used, except that the term bus depot may be used to refer to a bus station. In many conurbations, bus garages are on the site of former car barns or tram sheds, where trams were stored, in other areas, garages were built to replace horse-bus yards or on virgin sites when populations were not as high as now. The largest bus depot in the world is Millennium Park Bus Depot In Delhi India, garages may contain recovery vehicles, often converted buses, although their incidence has declined with the use of contractors to recover break-downs, and the increase in reliability. During the day and external areas will see a variety of movements, heritage vehicles are almost exclusively stored inside the garage. Often garages will feature rest rooms for drivers assigned to as required duties, the garage may have light duties drivers, who merely move the buses internally around the garage, often called shunting. The Mercedes-Benz O405 was a highly successful single-decker bus manufactured by Mercedes-Benz from the mid-1980s to the early 2000s. It can be built as either a bus or a bus chassis andwas the last VöV SL-II standard bus in production. It was the replacement for the Mercedes-Benz O305 and was used in Europe, United Kingdom, Australia. Last purchase of the model, O405NH was to State Transit Authority of Sydney, the step-entrance version was known as the O405. An 3-axle articulated version was known as O405G. There were two generations of O405, designated as O405 MkI and O405 MkII, the O405 MkI was marketed between mid-1980s and early 1990s. It featured a Mercedes Benz OM447h naturally aspirated engine with outputs of either 157kW or 184 kW, optionally available was a naturally aspirated compressed natural gas engine model M447hG with 150 kW output. The O405 MkII was marketed from the early 1990s to the late 1990s, the gearbox coupled to the engine was either the ZF 4HP500 or 5HP500, or the Voith D864.3. 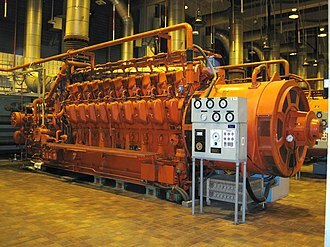 From 1994, this chassis was available with the M447hG Euro II175 kW naturally aspirated compressed natural gas engine, the low-floor version of the regular O405 was known as the O405N, a further developed version was built, it was known as the O405N²/O405N2. The O405N do not have steps at the entrances and exits, the GN2 type addressed this problem. These buses are fitted with ZF transmissions, but some are fitted with Voith examples. The low-entry version of the O405 was called the O405NH chassis was produced by EvoBus for the Australian market, much of its popularity with government and private operators alike can be attributed to the popularity of the Mercedes-Benz O405 MkII chassis that it replaced. The chassis was derived from a combination of the modules of an O405 MkII chassis. Because of the difference in height between the front and rear modules of the chassis, there are one or more steps leading up from behind the door position to a standard O405 floorline. Because the chassis has an engine, theres no room for a rear door. Midibuses are often designed to be lightweight to save on diesel fuel, making them not as durable as heavier full size buses. Some midibuses, such as the Scania OmniTown, are heavier, in some places such as Hong Kong, some bus routes have to be served by midibuses due to the winding roads along such routes. The term midibus is not in use in the United States, such smaller. For example, Muni in San Francisco operates both 30-foot and 40-foot versions of the Orion VII transit bus to serve routes that include some of the steeper and curvier hills, in charter / tour roles, there is indeed a gap between the minibus and the touring coach. Several shuttle bus companies such as Goshen Coaches and Crystal have manufactured rear-engined vehicles that have 30–35 seats and they are usually lumped together with their smaller minibus brethren and called minibus, or shuttle bus. The only other alternative was to import a short version of European touring coaches, known often as coaches, around 30 feet long. Carlyle Works was an English builder of bus and coach bodywork based in Egbaston. In 1920, the Birmingham & Midland Motor Omnibus Company established a bus facility on land adjoining Rotton Park Reservoir. It initially performed repair work before chassis construction commenced in 1925, the eight acre site was redeveloped over a five-year period from 1949. 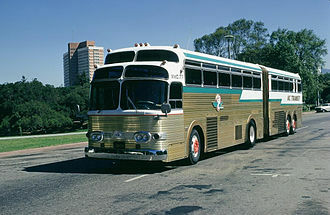 It derived its name from its address, Carlyle Road, the company was famous for building its own buses and coaches, under the BMMO name. These buses were very innovative and were the first to introduce many advanced features. When the development and production of its own vehicles became prohibitive in the late 1960s the central works continued to provide engineering services for the company. On 1 January 1969, Midland Red became part of the National Bus Company and these services included major vehicle modifications and adaptations. In the mid-1980s, minibuses became very popular for operators, allowing them to higher frequency service on routes that could serve areas larger vehicles could not access. Carlyle developed a range of bodywork for minibuses, notably Ford Transit conversions, on 5 September 1981, Midland Red was divided into five operating companies with the Carlyle Works retained to provide engineering support. On 5 March 1987, Carlyle Works became the 22nd National Bus Company subsidiary to be privatised and it was purchased by Frontsource Limited, a company set up by Robert Beattie to purchase eight former National Bus Company engineering companies. Carlyle set about building upon its minibus expertise, and developed bodywork for the Freight Rover chassis and these sold well, especially to former NBC operators. Designs for Iveco and Mercedes Benz 700 and 800 series vehicles followed, in 1989, the body designs for the Duple Dartline were acquired from Trinity Holdings. This body was adapted for the Dennis Dart and was available in 8. 5m,9. 0m and 9. 8m lengths, Carlyle built 140 of an order for the 8. 5m vehicles from London Transport. Warrington Borough Transport bought most of the 9. 0m versions, the 9. A fuel cell bus is a bus that uses a hydrogen fuel cell as its power source for electrically driven wheels, sometimes augmented in a hybrid fashion with batteries or a supercapacitor. Several companies are conducting hydrogen fuel research and practical fuel cell bus trials. These include, Daimler AG, with thirty-six experimental units powered by Ballard Power Systems fuel cells completing a successful trial, in eleven cities. Hydrogen-powered fuel-cell buses began operating in Beijing on a basis in 2006. Three fuel cell buses, made by Daimler in Germany and purchased with a grant from the U. N, development Programme, were the first fuel cell buses to enter operation in China. The technology has not gained broader use in the city because air pollution reduced the efficiency, the first Brazilian hydrogen fuel cell bus prototype began operation in São Paulo during the first semester of 2009. The hydrogen bus was manufactured in Caxias do Sul, and the fuel will be produced in São Bernardo do Campo from water through electrolysis. The programme, called Ônibus Brasileiro a Hidrogênio, includes three additional buses, the town of Whistler in British Columbia, Canada owned and operated the largest fuel-cell bus fleet in the world, having been put in operation for the 2010 Winter Olympics. However, the costs were too high and the program halted in 2015, in Aberdeen, the Aberdeen Hydrogen Bus Project currently has 10 hydrogen fuel cell buses operating, the largest fleet in Europe. The Fuel Cell Bus Club is a cooperative effort in trial fuel cell buses. Ford began leasing E-350 shuttle buses in late 2006 and it conducted some trials,1998 - Chicago and Vancouver, there were two-year three-bus demonstration projects. The 3 Vancouver units were deactivated, some were sold back to Ballard, who made the fuel cells, 2004–present Oakland and California a two-year three-bus trial. During this period, AC Transit and Sunline Transit have been operating three buses and one bus respectively and this trial has shown promising results and has been extended until new buses listed below are delivered. RM1 at the London Transport Museum Depot in 2018; this vehicle was originally built with a different front end, before being fitted with the standard design in 1958. A battery electric Proterra BE35 bus operated by San Joaquin RTD, shown beside its fixed charging station. A battery electric in Hong Kong. 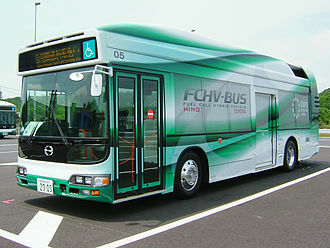 A Hino Blue Ribbon City hybrid Diesel-electric bus. A New Flyer Industries DE60LFR hybrid articulated bus. The BMW i3 electric car is one of the rare modern cars with a separate body and frame design (2013). 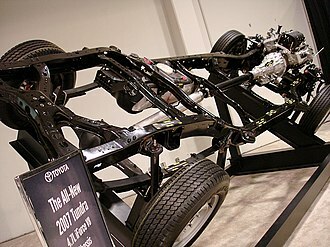 2007 Toyota Tundra chassis holding the vehicle's engine, drivetrain, suspension and wheels. A Duple Metsec-bodied Dennis Dragon operated by Citybus, Hong Kong. All but four of a total of 1649 Dennis Dragons/Condors built were bodied by Duple Metsec. Long Win Bus Alexander ALX500-bodied Dennis Trident 3 rear. Kowloon Motor Bus's Volvo Super Olympian with modified Alexander ALX500 body. Kowloon Motor Bus's Volvo Super Olympian with modified Alexander ALX500 body rear. A single deck Arriva Low floor Mercedes-Benz Citaro. A single deck Stagecoach Plaxton Pointer bodied Dennis Dart SLF. A single deck First Hampshire & Dorset Wright Eclipse Urban bodied Volvo B7RLE.